Would you agree or disagree with the question? You might be really open about your faith, where your relationship with Christ is a normal topic of conversation with your non-Christian friends. I currently exercise several times a week with a non-Christian friend. My faith is regularly a conversation topic. He knows I’m a Christian, and I’ve invited him to spend time reading the gospel of John with me so that he can learn more about Jesus. He’s not yet started, but I know that opportunity with come. According to the survey, 66 percent of American churchgoers agree Christians should seek out honest feedback about their spiritual life from other Christians. Churchgoers also seem to think they live out their faith in a manner that is evident to others. 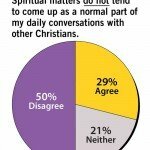 Just 14 percent of churchgoers agree with the statement: “Many people who know me are not aware I am a Christian,” while 72 percent disagree with the statement. However, the survey also shows churchgoers often leave important elements of faith unspoken. 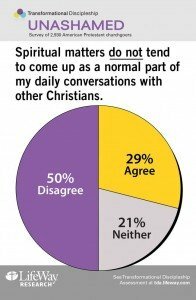 Nearly a third (29 percent) agree “Spiritual matters do not tend to come up as a normal part of my daily conversations with other Christians,” while 50 percent disagree this is the case. Still, the survey reveals 57 percent of churchgoers agree they openly share about difficulties they are experiencing when they talk with Christian friends, while 1 in 4 do not. If church goers are often leaving important elements out, it seems we may be hoping that our good behavior might lead to spiritual curiosity. One of the things I like to say is that St. Francis of Assisi got it wrong. I think of art in a museum. I look at it but apparently I’m supposed to figure out what it means. A friend of mine had been praying for me. I had lots of conversations with my friend about their personal faith. I was invited to church. I heard about what Jesus Christ did for me. It finally clicked, and I gave my life to the Lord. Not every personal testimony has all of these experiences, but there are several points in the journey to faith where the influence of Christian friends makes a big difference. The new believer is often excited about the difference that Jesus has made that they start telling their friends about finding God. 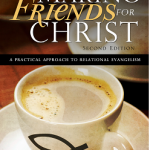 In the book, Making Friends for Christ: A Practical Approach to Relational Evangelism, Dr. Wayne McDill describes how effective evangelism can be, and should be, a normal, purposeful, outflow of life. I found his book extremely practical in helping people find normal ways to share their faith in the midst of their friendships, without having to go out and confront the stranger with their sin. He doesn’t shy away from the observation that relational evangelism takes time, but balances the sense of urgency with the responsibility to respect boundaries that people setup. Taking an inventory of friends. Earning the right to be heard and share. The three story method of personal testimony. Several years later in another seminar I had the strange feeling I had been there before. This time the subject was “soul winning.” But the approach was the same as that I had been taught for selling encyclopedias. The aim was to “get a decision.” That was the test of success, just as in the book sales. The same things were covered, from how to approach the house all the way to four or five separate “closes.” The super soul winner who taught the course (I forget his name) promised us success if we followed his plan. 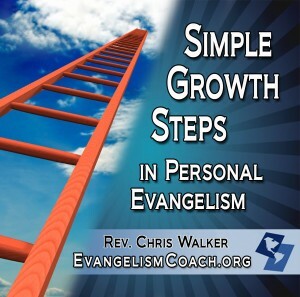 Secular people need “evangelistic pathways” in the church. They need the time to move toward a faith commitment. Evangelistic strategies can include more dialogue, question and answer, short courses, seeker meetings, and especially small groups. Secular people do not accept the Christian view of reality. So the witness cannot assume that view when witnessing. He will often need to challenge the assumptions post-modernists take for granted and reveal their inconsistency in a good-natured way. Evangelism must aim beyond decisions to disciples. We must never be satisfied to count our converts before there is evidence of transformation. 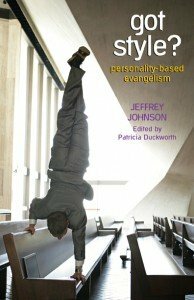 Joe Aldrich cites statistics that reveal the results of faulty evangelistic theory and methods. The relationship of a convert to the person who witnesses to him is critical, as well as the number of times he is exposed to the gospel. 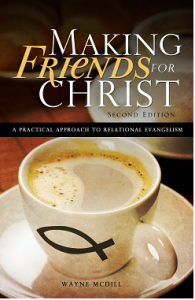 “More than 80 percent of those who trust Christ and remain members of a local church are led to the Lord by a friend. Furthermore, they have had over five exposures to the gospel before their conversion. If you get your copy from this link, Amazon will give me a few nickles to support our work in Latin America. 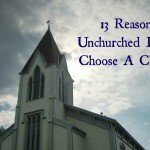 My new favorite resource on this topic is Thom S. Rainer’s book Surprising Insights from the Unchurched. Want to grow your church attendance by 20% this year? I once coached a church that set 20% as their goal. Is 20% growth a realistic? Visitors are the key to growing your church. Without keeping your first time church visitors, your church will not grow. Likewise, you will not replace the members who drop out, move to another city, or die. The key to keeping visitors is helping them decide to come back and connect with your congregation. After decades of net decline, more U.S. churches are being started each year than are being closed. The credit largely goes to the recent increase in enthusiasm for church planting. Stetzer, who leads LifeWay Research, says church planting has become the “it” thing right now and the new evangelism . Plus, according to FACT2008, the healthiest churches are those that reproduce. Also, the authors emphasize that most new churches survive. 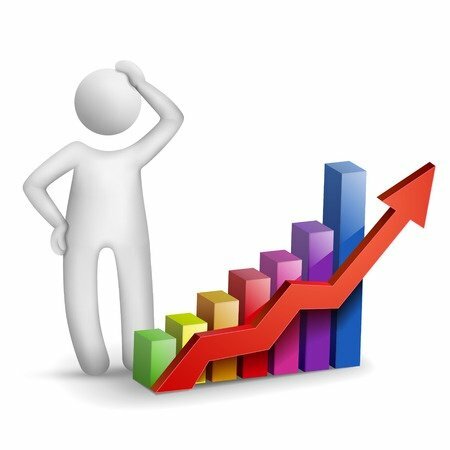 After four years, 68 percent of new churches still exist and 70 percent attain self-sufficiency by the fifth year. Every year, approximately 4,000 churches are birthed in the U.S. (500 more than are closed). But much of the church plants have been focused on addition rather than multiplication, the authors point out. This is good news to me. Traditionally, my denominational system had a governing body that initiated the planting of new churches. They’d raise money, determine a location, gather a team, and then plant a church. They have successfully launched 2 churches, maybe 3 that still exist since the early 1990s. Not a good track record. Money first, location and organizing team later. What happens when there is no money – no church planting. That’s what happened. 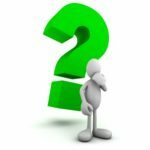 This past week, I spoke with another church planting coach, and the question we were dancing around dealt with funding new church developments. To look for funding first may be the wrong leg to start on. While it’s an important piece, does it have to come first? 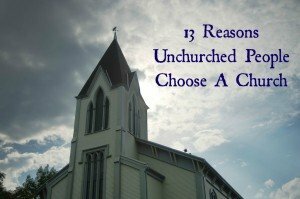 Though I’ve been involved in 2 church plants, each was unique. The first had a very generous benefactors that believed in the vision. Momentum, passion, vision, timing all seemed to come into play to launch a church that is now 7 years old. It’s plateaued now, and the turnover in people is huge. It still exists as a congregation, but I hear it’s facing different challenges. The second one is a parachute drop – we are working with immigrants from another country who moved here to work among fellow immigrants and locals. We are in a high density urban zone neighborhood of 65,000 people that has 7 churches, of which 6 are under 100 in size. It’s been a two years struggle to build a core group. No funding other than missionary support and tent making. No benefactors who give nearly $500,000. I sell my ebooks on church hospitality at this website here which is 1/5 of our income. However that core group of mostly new Christians met for over a year in an apartment. They stepped out in faith after one year and rented a hotel room for a Sunday. 75 people attended the first gathering a few weeks ago. We’ve received almost enough provision to rent the hotel room again for our next service. We keep praying that we’ll make an impact where we live, planting a church that plants churches. It’s not easy work by any means. As I’ve talked with other church planters in my city, hotel rental costs are outrageously expensive, and any other locale is just as expensive. Getting to self-sufficiency through offerings is really tough. Land prices in the neighborhood have quadrupled in 3 years. As I reflect upon my conversation with the church planting coach, I keep wondering how we can help church planters launch new churches when denominational money is drying out. I don’t have all the answers. I’d love for our new congregation to be viral. Join us in our prayer, that our current church would plant churches.